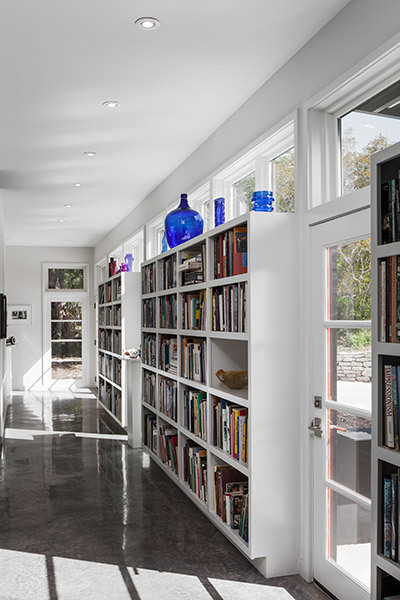 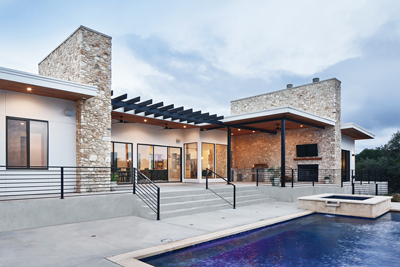 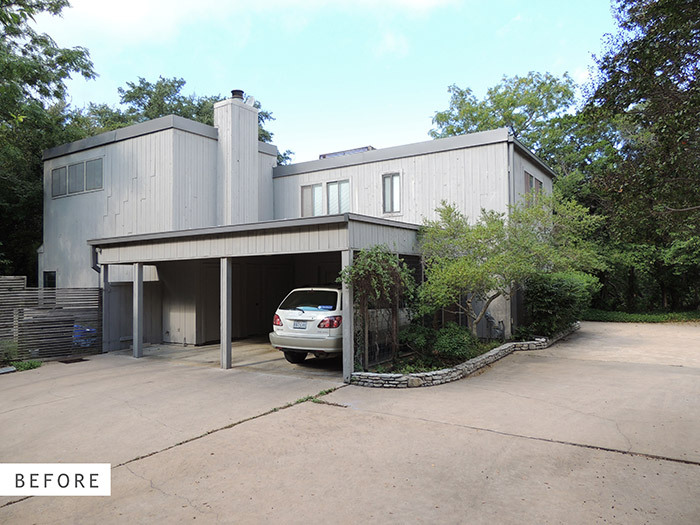 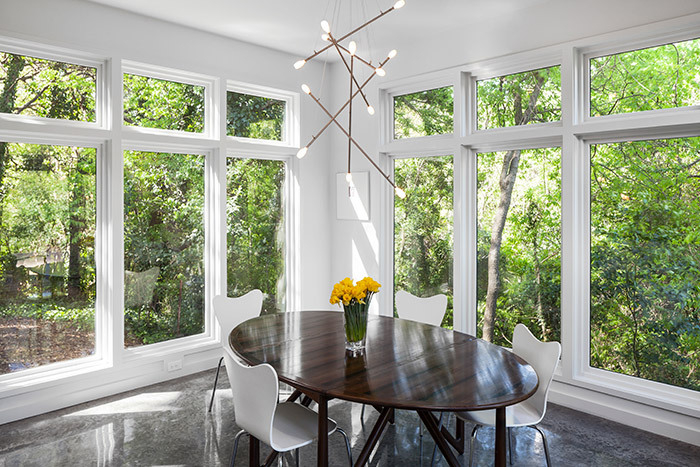 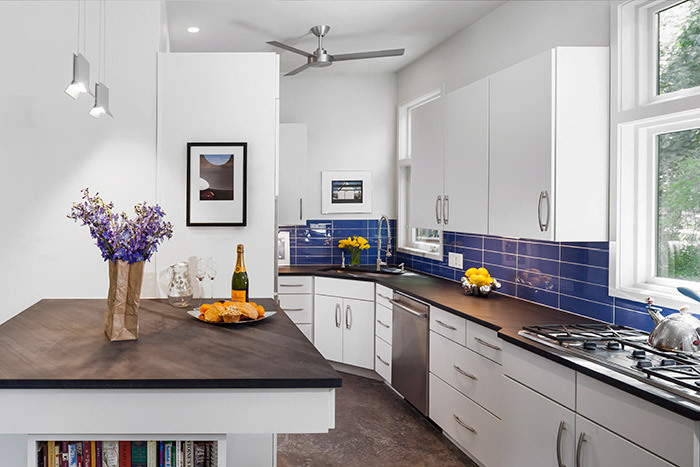 This is a recently completed project in Central Austin where the existing residence needed significant renovations beyond what was economically feasible for the Owners of 27 years. 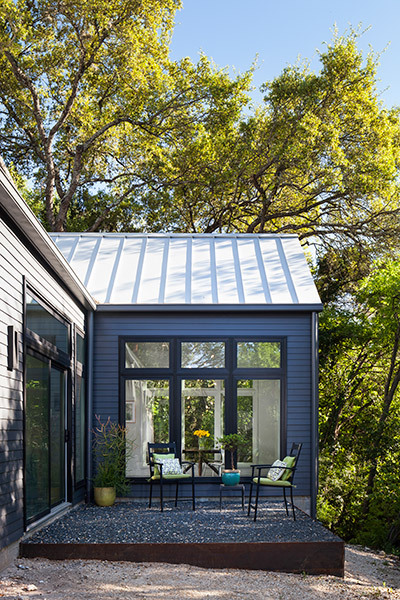 Ultimately, they decided to rebuild a smaller home in its place to better accommodate their needs. 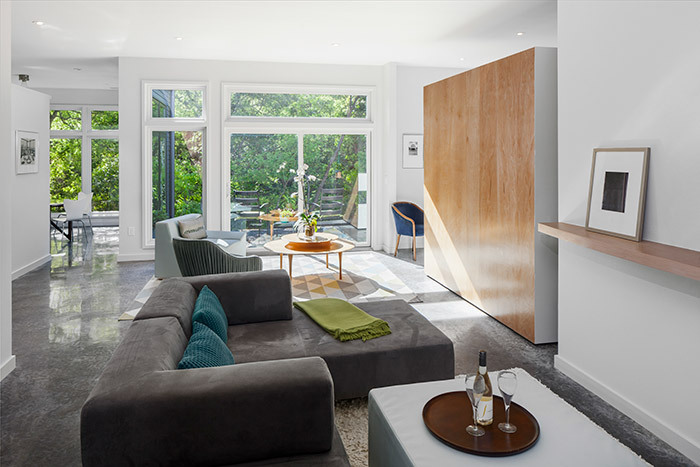 The existing house remained until design was complete, challenging the design team to envision the optimal siting of the new house in a way that would take the greatest advantage of the woods-like setting and views. 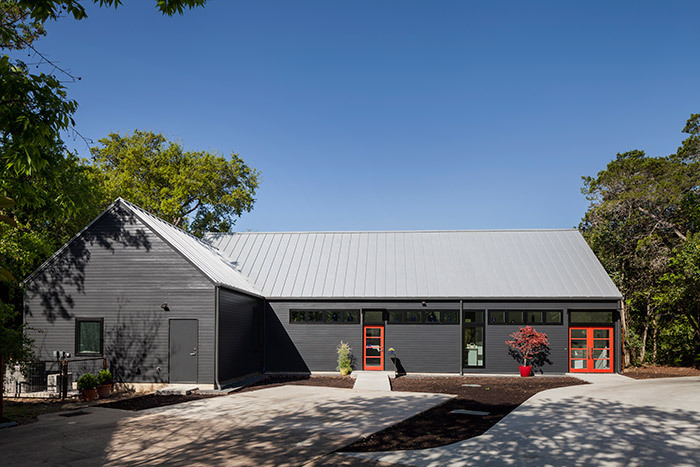 Additionally, the building area of the new house was limited by several site constraints including the unique shape of the property, steep slopes surrounding it, and restrictive easements. 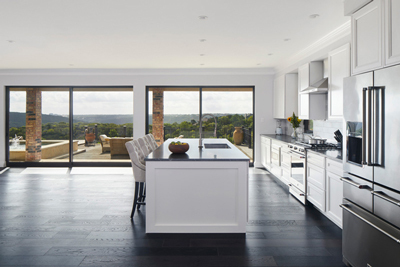 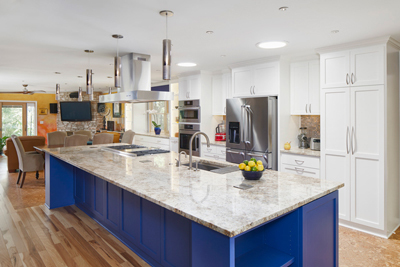 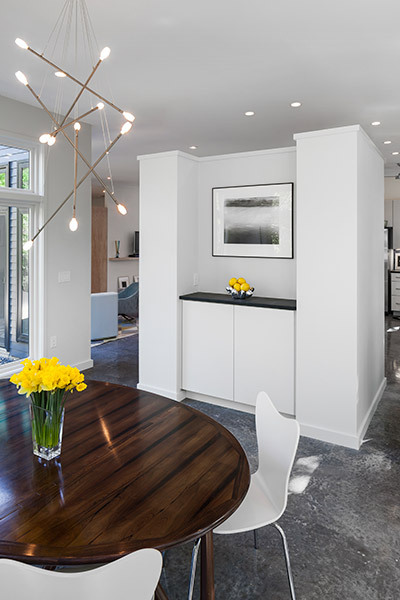 Through an energetic collaboration between the Owners, RisherMartin Fine Homes and ourselves, the resultant design overcame these challenges and yielded a home that is responsive and respectful to the site. 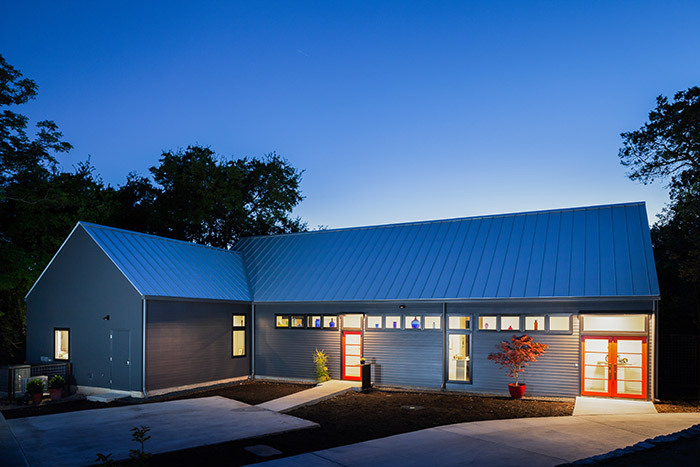 The creative use of economical building materials enhanced the design while remaining in budget. 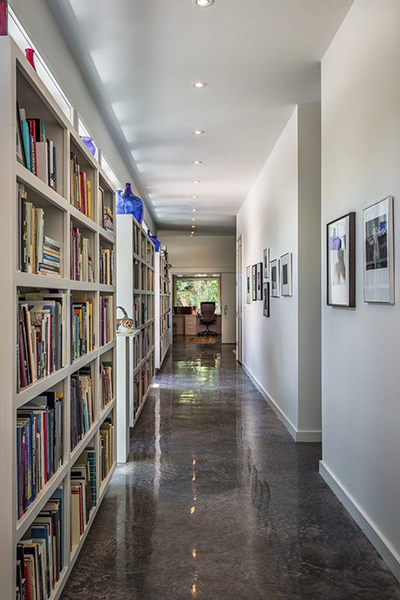 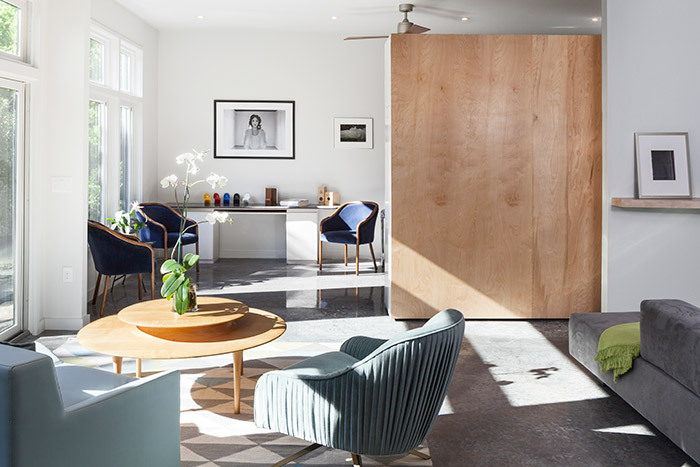 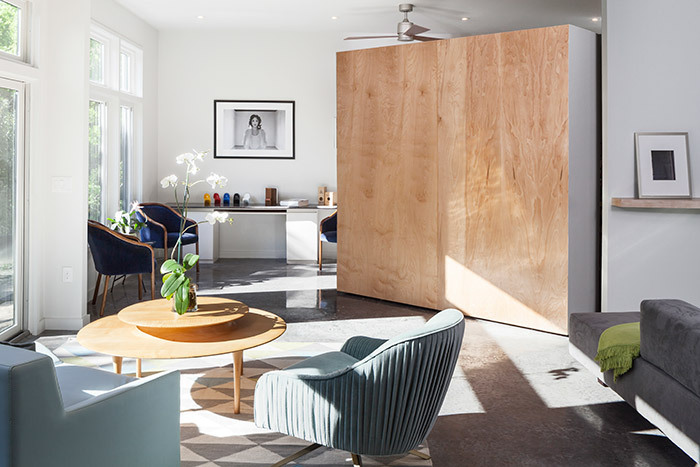 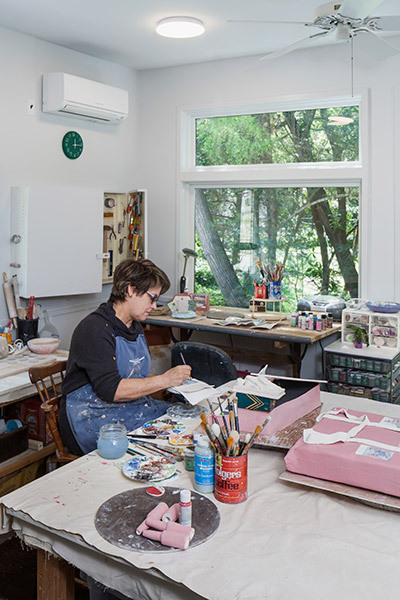 As artists and supporters of art and architecture, the Owners’ passion for both are reflected in the modern simplicity of the house both inside and outside.